Chicago’s Gold Coast was added to the National Register of Historic Places in 1978. The neighborhood is bounded on the north by North Avenue, south to Oak Street, west to Clark Street and east to Michigan Avenue. 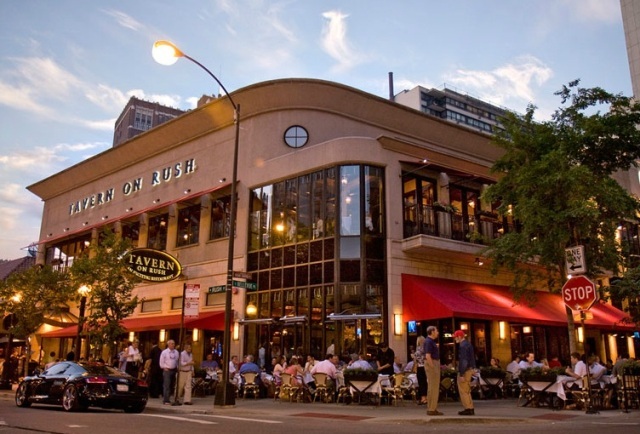 In the late 1980s, the Gold Coast and neighboring Streeterville comprised the second most affluent neighborhood in the U.S., only behind Manhattan’s Upper East Side. 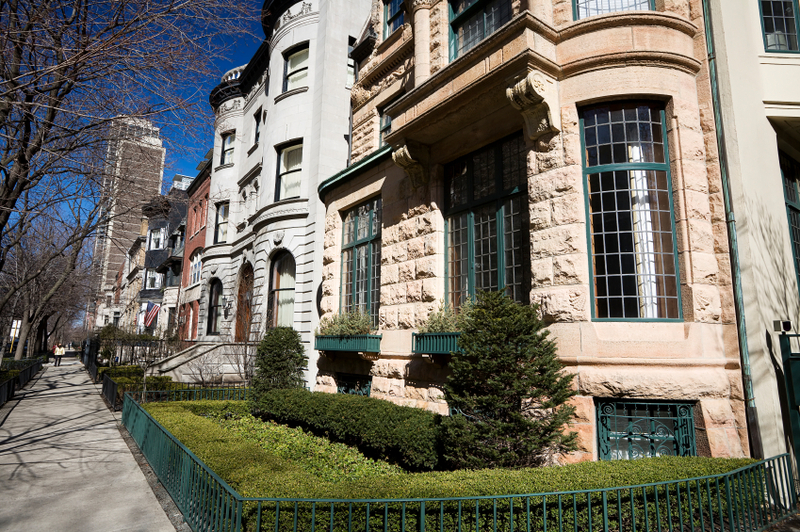 Since Potter Palmer and his new wife Bertha moved to the Gold Coast in the early 1880s, some of the most affluent Chicagoans have called the Gold Coast home including many CEOs of multinational companies, actor Vince Vaughn, Cardinals of the Catholic Church at the Archbishop Residence and Hugh Hefner. 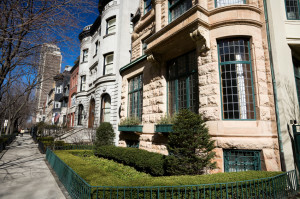 The Gold Coast is a mixture of high rise apartment buildings, located mostly on Lake Shore Drive facing Lake Michigan, row homes and mansions. The historic architecture of the Gold Coast is dominated by three primary styles: Queen Anne, Richardsonian Romanesque and Georgian revival style. Highlights include the Astor Street District and the James Charnley House. Most of the neighborhood’s public transportation needs are serviced by the CTA via the Red line “L” and many bus routes. Parking is scarce so most residents either own a parking space or opt not to have a car. Taxis are readily available at any time during the day or night. Gold Coast is zoned to Chicago Public Schools including Ogden School and Lincoln Park High School. The Gold Coast is THE go to destination for shopping for Chicagoans as well as people from all over the world. 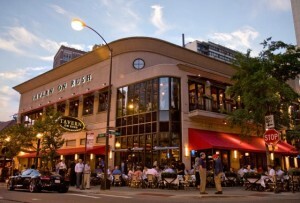 Shopping includes Oak Street, part of the Magnificent Mile and many other upscale boutiques. Restaurants and night life abound in the Gold Coast. The restaurant scene is well known to locals and tourists alike and options include everything from high end Italian to steakhouses to cafes and everything in between. Division Street even has dive bars that stay open until 5 a.m.! 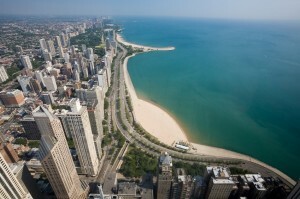 The Gold Coast borders Lake Michigan and one of the more spectacular public beaches in Chicago is Oak Street Beach. You can opt for a swim in the lake, take your dog for a walk on the running path up Lake Shore Drive or chill out with a picnic. Some of the prime time viewing for the Chicago Air & Water Show is from this beach or, if you are lucky, from someone’s amazing Lake Shore Drive condo! Ever wanted to see what a garden of a city mansion looks like? Every July, a select few residents of the Gold Coast open their gardens to the public for the Dearborn Garden Walk. If you thought the houses looked amazing from the street, these gardens are inspirational for what can be done in a smaller garden area. The Gold Coast neighborhood grew in the wake of the Great Chicago Fire. In 1882, millionaire Potter Palmer and his new wife Bertha moved to the area from the Prairie Avenue neighborhood on the city’s south side. He filled in a swampy area which later became Lake Shore Drive and built the Palmer Mansion, a forty two room castle-like structure designed by Henry Ives Cobb and Charles Sumner Frost. Other wealthy Chicagoans followed Potter into the Gold Coast, which became one of the most affluent in Chicago.